The robust ZARGES K410 Series Aluminum Cases represent an ideal transport and packaging medium for a wide range of applications. 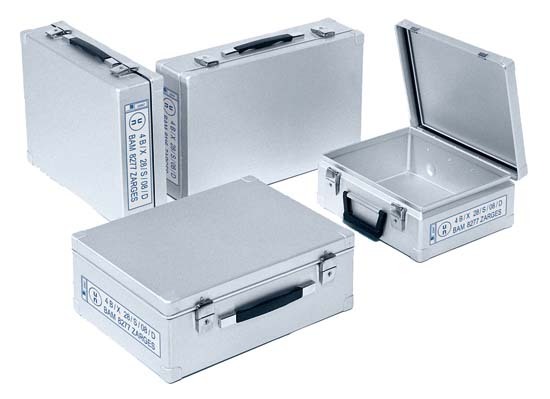 K410 Series aluminum cases are ideal for presenting samples, a secure packaging for valuable or sensitive items or carrying the service engineers' repair kit. Robust, lockable and fitted with ergonomic carrying handles, they are characterized by functionality, long life and timeless design.